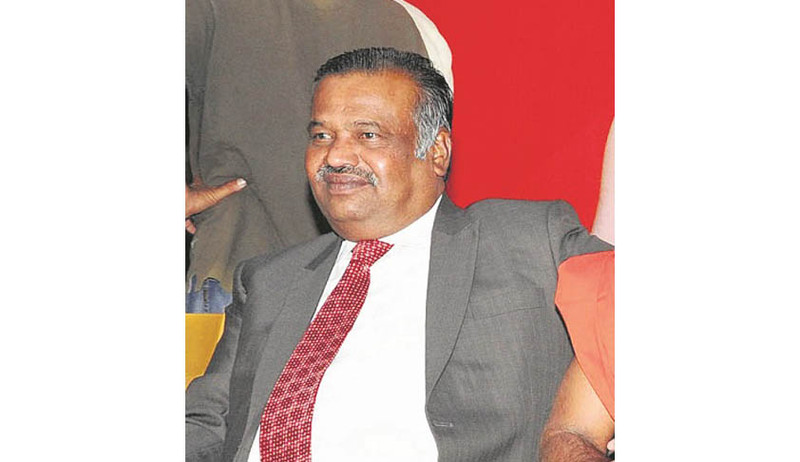 Allegations are ripe against Karnataka High Court Judge K.L. Manjunath, who has been recommended by the Supreme Court collegium for appointment as the Chief Justice of Punjab and Haryana High Court. It has been alleged that he illegally bought a plot from a housing society in 2004 and also presided over the cases involving the society. Even Shanti Bhushan has voices his opinion against him, stating, "We have received strong complaints and material against Justice Manjunath which clearly proves that he is not fit to hold the position of Chief Justice. I don't understand who is pressing his name for the Collegium. The public knows that there are serious complaints against him. Possibly other members of the collegium are not aware of his truth, but in any case he will not be able to get the position of Chief Justice because the truth about him has now come out in the public." It has come to light that on February 8, 2004, Justice Manjunath acquired the flat illegally, and out of turn, in the name of his daughter K.M. Chaitra, who was 20 years old at the time. His daughter was then excused from filing the affidavit, declaring that she did not own any other residential property in the city, even though applicants for housing society plots are required to file such affidavits to keep property speculators out of the heavily subsidised housing societies. The allotment appeared to be in violation of Section 10 (a) of the Government framed model-by laws for house building co-operative societies, which mandates that an allottee or her family should not have any other residential property in Bangalore. The very rationale for co-operative housing societies rests on the premise that they enable persons who are unable to pay market prices to afford a dwelling unit at a subsidized cost. The allotment placed Justice Manjunath in a position of conflict of interest as he headed a Division Bench that was hearing a Public Interest Litigation (No. 21860/2011) related to allotment of housing society plots. The illegality of the order was evident from the fact that Chaitra was not even a member of the Vyalikaval House Building Cooperative Society (HBCS) near Bangalore International Airport. According to the sale deed, she got the allotment out of the developer’s share in accordance with the terms of a joint development agreement between the society and the developer. The agreement says allotments from the developer’s share were made by admitting outsiders into the society as ‘associate members’. This mode of acquisition of plots through the associate membership route has always been a manoeuvre in the Rs. 3.5-lakh crore housing scam in Bangalore which, according to official estimates, involves more than 400 societies. Justice Manjunath, is 2004 Justice Manjunath went ahead with the purchase of the 5,460 sq ft plot for Rs. 6.82 lakh at Rs.125 per sq ft. The price in the area at the time was around Rs. 1,000 per sq ft. At today’s market rates, the plot costs around Rs. 2.18 crore at Rs. 4,000 per sq ft. This was against the 1991 Karnataka High Court order which scrapped all nominal or associate memberships, provided. Even the State, on April 1, 2002, made it clear that associate members would not be “entitled for the allotment of a (housing) site”. The sale deed doesn’t mention any mode of payment. Later during 2005-2010, Justice Manjunath, instead of recusing himself, presided over at least three cases where the same housing society was a petitioner. The three orders came up for consideration in 2005, 2007 and 2010. In one order he quashed an order passed by the Bangalore Development Authority cancelling its plan clearance to Vyalikaval HBCS. The allegations have come out straight in the face of the Supreme Court which has already over ruled the objections put forth by the Government. The objections were raised in light of a letter written by an apex Court Judge to the Government. In such a situation, the Government is bound to put its seal on his elevation, in light of the rules laid down in the Judges cases. However, in wake of such allegations, it is necessary for the Judge to come out clean in order to safeguard the trust that is placed in the system.